As you go about your fat loss program, you’re likely taking steps with both your exercise routine as well as your diet plan. Your overall goal is to burn fat and firm up so that you can sport a body that has more muscle definition and achieves that very ‘fit’ look. But, as you go about accomplishing this goal to lose excess body fat, one thing to keep in mind is that you can’t go too low before problems start to occur. Women do require a certain amount of body fat in order to maintain normal body function, so if you begin to take your body fat down below this range, you could be in for some problems ahead. 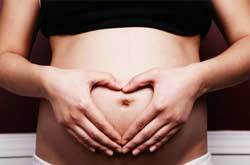 Let’s take a quick look at the connection between body fat and fertility. When it comes to absolute required body fat for males and females, females will always need more total body fat on their frame because this is what helps to support proper reproductive functioning. The process of conceiving a child and bringing that child into the world requires a higher storage of fuel reserves and the body has a built in mechanism that when these fuel reserves dip down too low, menstruation stops so that there is no chance a child could be conceived. Many women who are hard at work with their exercise routines and diet plans will start to notice this cessation of their periods, either having it vanish for certain months and be present for others or have it stop entirely. If you do stop menstruating, not only will you have the obvious problem of not being able to have a baby, but you’re also putting your bones at risk as well. Not having a regular period will set you up for the development of osteoporosis, so over the long term this may put your regular physical activity in jeopardy. 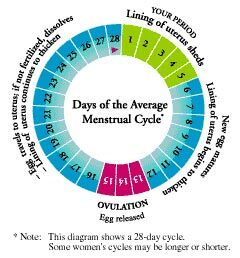 In addition to this, women who aren’t menstruating will not be maintaining a proper level of their reproductive hormones so this may cause them to feel unwell in general. When body fat levels dip down too low they’ll often note that extreme fatigue kicks in and they don’t feel like doing much of anything except lying on the couch for hours at a time. If you have noticed that you’ve lost your menstrual cycle and are aiming to reduce body fat, what can be done about it? In some cases, it’s not so much the loss of body fat that causes the menstrual cycle to stop but rather the very low calorie intake. So the first step to take to help get yourself started again would be increasing your calorie intake upwards by a few hundred calories per day. This may be enough to restore hormonal levels and get you menstruating again. If that doesn’t do the trick, then the next step is to back off your exercise routine as well. At this point you just may be at too low of a body fat level to be considered healthy and will need to increase it up higher. This is a big reason why you don’t see female fitness competitors stay at a very low level of body fat- it’s not safe or healthy to do long term. So while it’s great to work towards the goal to lower your body fat and achieve your dream body, just keep in mind that there are some implications that could go along with that. If you take your body fat too low, you’re could begin to suffer some consequences.